The combination wrenches in this 11 piece set are precision broached for a tight and secure fit. The black oxide finish provides outstanding corrosion resistance as a result of our proprietary in-house plating process. Made in Canada and backed by Gray Tools hassle worry-free lifetime warranty. Contains Sizes: 10, 11, 12, 13, 14, 15, 16, 17, 19, 20, 22mm. This 1/2" Torque Wrench has a ratchet head bumper to protect from impacts. The Wrench comes in a protective case for easy storage in a garage or basement. The 3/8" Micrometer torque wrench has a rubber bumper on the head to protect during use and in case it is dropped. It also comes in a strong case to make it easy to transport. The Wrench itself has forward and reverse torque capabilities and a quick release trigger to make adjustment easy. Husky Trailer Hitch Wrench has: one sized 1-1/8 in. and the other sized 1-1/2 in. Both ends fit the two most common nut sizes for trailer ball hitches. The wrench box end features a 12-point style to reduce fastener rounding compared to a 6-point style. 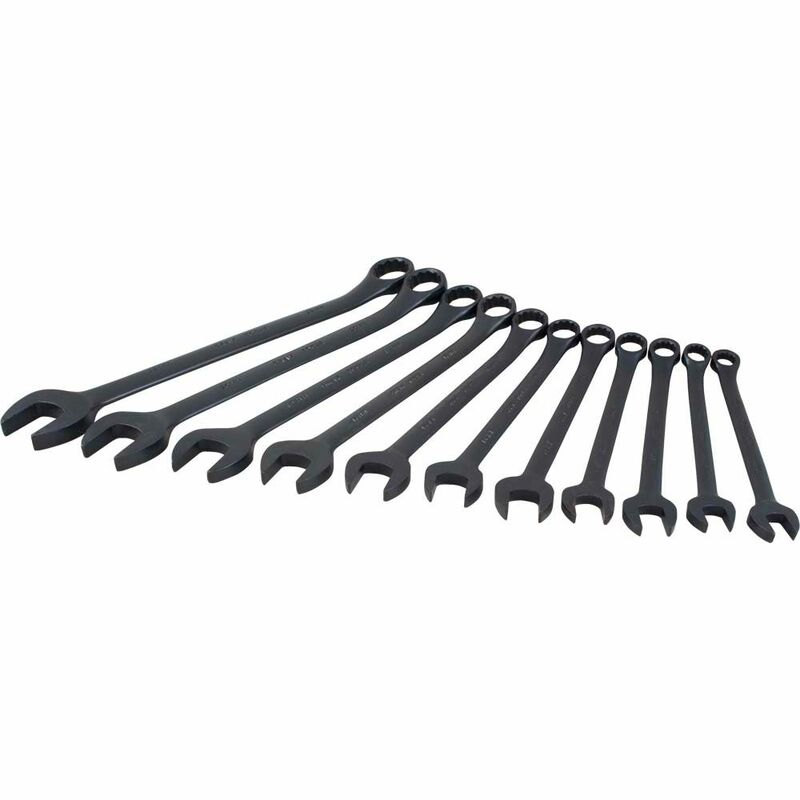 11 Piece 12 Point Metric, Black Finish, Combination Wrench Set, 10mm - 22mm The combination wrenches in this 11 piece set are precision broached for a tight and secure fit. The black oxide finish provides outstanding corrosion resistance as a result of our proprietary in-house plating process. Made in Canada and backed by Gray Tools hassle worry-free lifetime warranty.